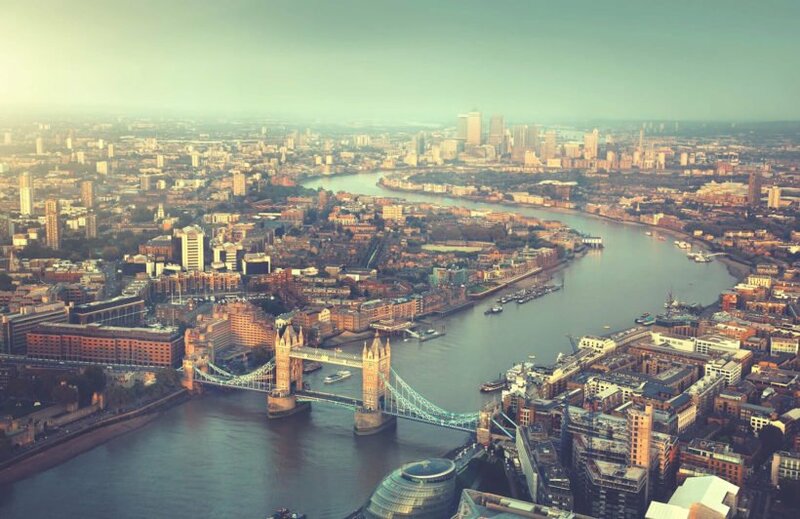 Look upon one of London’s most famous sites from a bird’s eye view in the River Thames London Wallpaper. The eye-catching vista displays many of London’s spectacular and iconic places, particularly the Thames River as it snakes across the whole scene. Occupying a major place in the image is another internationally-recognized structure in the form of the impressive Tower Bridge. Be amazed by such a dazzling view of London right in the midst of any wall in the house. The staggering vista will be a surefire hit every time homeowners or guests venture into the living room or any room for that matter. 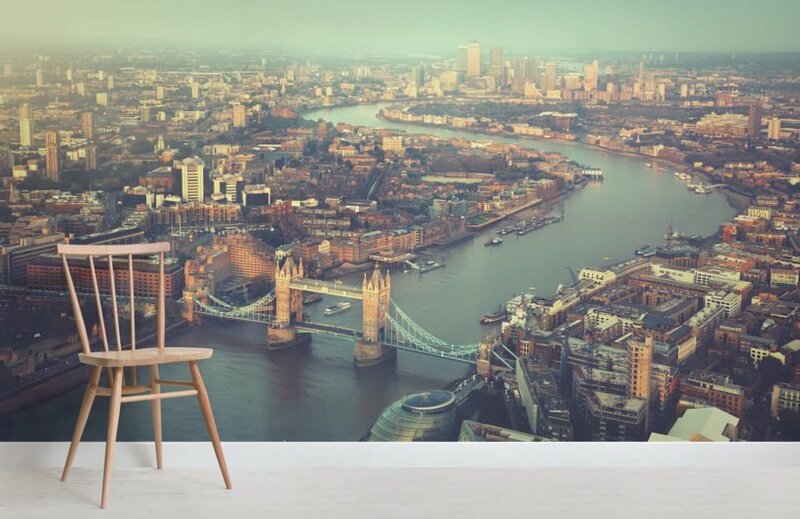 As with most spectacular panoramic views, this London Wallpaper Mural can make small rooms look larger than it actually is.